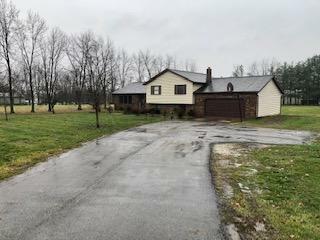 4 Level Split on 1.14 Acres! 4 Bedrooms, 2 full bathrooms, 1,930 square feet, large eat in kitchen w bay window and appliances including dishwasher, formal dining room, living room, family room w wood burning stove, basement, 2 car attached garage. Motivated seller!